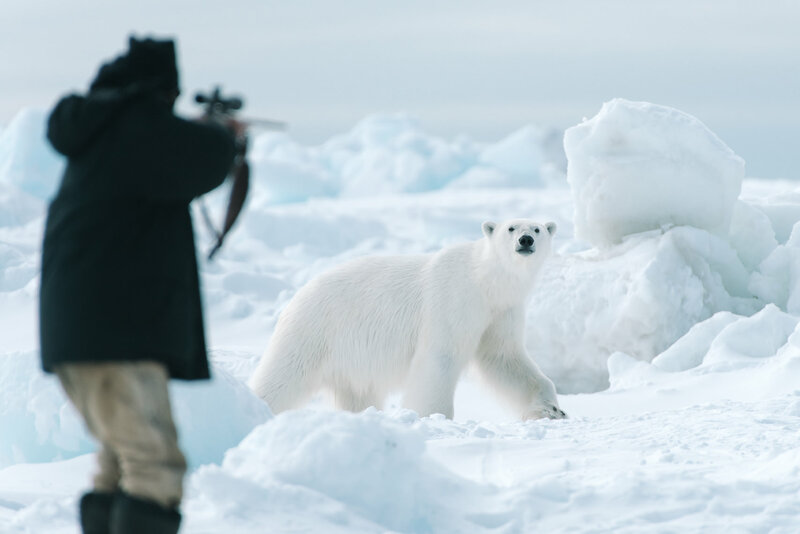 Polar bears present an ever-present danger to Iñupiaq whalers when out on the ice. Attracted to the scent of fresh blubber, they prowl the edges of camp, but are usually scared off by rifle shots and noisemakers. During whale butchering many people stand guard against the bears circling nearby and keep children close to camp. This bear at Akootchook's whale was one of thirteen seen in a single day on the sea ice off Utqiagviq, Alaska.